RUCC have always taken safety as the paramount concern. We are affiliated to the British Caving Association and the British Caving Research Assocation (BCRA). These associations provide safety guidelines for the club, permits for certain cave systems in the UK and current information on caves. Designated leaders on trips are experienced, and should you be on a trip and unsure of any aspect please tell a leader. Our safety code and constitution are available in the resources section. Our code of conduct is set out below, which you will need to sign before becoming a member. Please read carefully so you know what’s expected of you and the leaders on the trips. 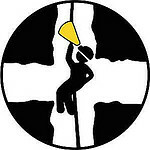 The club is affiliated to the British Caving Association and the British Cave Research Association. It is a member of the Council of Northern Caving Clubs and the Cambrian Caving Council. These organisations provide safety guidelines for the club, permits for certain cave systems in the UK and current information on caves and the surrounding areas. 1. Each member of the club is responsible for their own safety and that of the other members of the club. If in doubt, it is their responsibility to seek advice from an experienced member of the club. 2. Every member must purchase Sports Federation insurance via the caving club at the same time as joining the club. If Sports Federation insurance has previously purchased through another Reading university club or the person holds a three year policy that is still in effect, they will be responsible for supplying the caving club committee with their policy number. No member will cave or train until the committee hold a record of their policy number. 3. Each trip member must ensure that they are adequately clothed and safely equipped for the proposed activity. Appropriate clothing is as follows – caving undersuit/wetsuit, caving oversuit, Wellington boots or appropriate footwear for training. Furthermore warm clothing, a towel and some food for après cave will be required. Gloves, a balaclava, knee and elbow pads are optional. If in doubt, ask others for advice. 4. Every trip shall have an appointed leader or leaders. It is the responsibility of all trip members to establish who the trip leader(s) are. The trip leaders(s) shall ensure that each trip is summarised or ‘chalked’ on a recognised caving club board or to a responsible person. The summary will include the number on the trip, the cave system entered and routes being used, the time the trip departed and most importantly their expected time of return to the hut or minibus and a ‘call out’ time. 5. Prior to entering any cave system the leader(s) must be aware of all hazards and must satisfy himself/herself/themselves by consulting weather forecasts and by observation of local conditions that the system to be entered is not in flood and is very unlikely to flood and that it is safe to enter with respect to all other hazards. 6. Each member of the club must ensure that their vision quality will not endanger themselves or others whilst caving or training. Each member is responsible for equipping themselves with glasses or contact lenses if necessary and must accept responsibility for these items. 7. Each trip member must inform the trip leader if they cannot swim, in case deep water is likely to be encountered in the cave. 8. All members are responsible for familiarising themselves with RUCC Trip Procedures. Trip Leader(s) are responsible for ensuring that Trip Procedures are followed as appropriate for the cave system to be entered. Trip Procedures can be viewed along with this Code of Conduct on the Resources/Safety pages at www.rucavers.co.uk or a hardcopy is available upon request to the committee. 9. Members use RUCC equipment entirely at their own risk. If any individual sees equipment that they believe to be unsafe or rigged in an unsafe manner they should speak to the trip leader or an experienced person nearby immediately. 10. Trip leader(s) will have significant knowledge of the cave system and if required have the relevant cave survey/rigging guide. Trip leader(s) must ensure each trip carries a ‘leader kit’ containing basic first aid equipment, whistle, spare bulbs and snap-lights. 12. The committee will offer to provide training for trip members in Ladder climbing and insists upon training trip members in Single Rope Technique at Brunel climbing wall by our instructors. Before caving, participants must satisfy themselves that they are able to put on a harness and attach themselves to the rope in a safe manner appropriate for the technique being used. 13. Prior to entering any cave system or training area all trip members must ensure they have received a safety briefing by the trip leader(s) including how long the trip is expected to take, what techniques are to be used, what kind of terrain to expect, general information regarding safe conduct and basic emergency procedures. An instructor will supervise inexperienced and novice cavers where necessary. 14. Prior to participating in club activities, members must inform the committee and the trip leader(s) if they have any medical conditions that should be known of. Furthermore, no member will cave or train if they believe themselves to be in an unfit state to do so (e.g. suffering from depression, heart condition, claustrophobia, under the influence of any drugs). It will be the individuals’ responsibility to inform the trip leader(s) if they believe they are unfit to cave or train. 15. The committee and trip leader(s) will ensure that each trip has at least one but preferably two First Aiders. The committee will encourage all members to become familiar with basic first aid and to attend appropriate first aid courses. 16. The committee recommend that members inform their next of kin of their membership of RUCC. 17. The trip leader(s) have the right to cancel or curtail activities at any time if he/she/they consider conditions or circumstances (including fatigue, ability and morale of individuals) constitute an undue risk. I have read and understood the above RUCC Code of Conduct and will conduct myself in the manner described.